Last week, I got to visit beautiful North Carolina for the recent ISFA Industry Roundtable in Raleigh. As always, I walked away having had a great chance to meet and network with industry leaders. Also, I got to learn about what’s top of mind for a number of surfacing industry professionals including fabricators, distributors and suppliers to the industry. There was great value in having this diverse, but small group all in one place with the purpose of discussing key topics in our industry. The event started with a tour and reception at ROCKin’teriors, ISFA’s 2018 Fabricator of the Year. Talking to their employees reconfirmed for me that great people will produce great things. This high-end countertop shop invests in attracting and developing a great team. As a result of the dedication and knowledge of the people who work there, ROCKin’teriors is one of the premier fabricators for the upper end of the market in Raleigh. The rest of the meeting highlighted how powerful it can be to come together as a group. Throughout the day, there were discussions about wide ranging topics from labor shortages locally to the impact of tariffs on Chinese quartz. What I learned is that fabricators are facing challenges on multiple fronts that are threatening margins. To me, that means that every activity related to every job should be executed with precision, whether that’s back in the shop, in the field or in the office. What impressed me about the ISFA Roundtable was the openness of all of the people in the room, the willingness to share with competitors and the common desire to make their businesses and industry better. One conversation, specifically, that I valued was the dialog between fabricators and quartz manufacturers around the topic of silicosis. This frank discussion was enabled by the intimate, trusting environment. It led to some actions that ISFA will work on. If you’re able to get to one of these events in the future, I highly recommend it. I’m looking forward to my next one! In addition to the ISFA meeting, I had a chance to visit a couple of local customers in the Raleigh area. One of them had just bought our scheduling software, Systemize, the week before. Watching all of the activity in the office and shop was impressive. Customers were showing up in droves, installers were texting and the phone was ringing. It was a great reminder to me that working with software is only a minor part of the day for any of our customers. Here’s the rub—while distractions in any shop are a reality, success with our software will require budgeting some time to get it set up. Block out time on your calendar every day when you first get the software. If you can remove yourself from the hectic daily activities, that will pay off in a major way. Yes, it’s extra work on top of all the daily stuff that doesn’t go away. However, this customer realizes that when Systemize is in place and a part of everyone’s routine, it’ll be a huge improvement to their business. Attending industry events and meeting with our customers is a great way for me to get deeper insight about how countertop shops are changing with new technology and market trends. I’m looking forward to my next trip! If you haven’t visited other countertop businesses, you should do that too. Interested in reading more articles about the stone industry? Sign up for our newsletter! Helping countertop fabricators grow their businesses is one of our favorite things to do. We think communicating with your customers (aka marketing!) is one important part of that. Systemize and CounterGo aren’t marketing tools, but we know that sometimes it’s useful to export your customers’ contact information into other systems… or even just to create a mailing list so you can send thank-you notes. So, we released a new feature that allows you to export your contacts from CounterGo and Systemize into a spreadsheet! To see your contacts, simply go to Settings > Account > Contacts. From there you can click the big export button up top. Once you’ve got your contacts in Excel or Google Sheets, you can segment your list to figure out who to email, mail, visit, or call. Now that you’ve got the power to export your contacts, go ahead and get started sending those promotional emails and direct mailers. We’re positive that great communication with your prospects and customers will make your business better, and we hope you’ll sell more jobs than ever before! Interested in more helpful tips and tricks? Sign up for our newsletter! Last week, I was lucky enough to attend TISE for the first time. It was impossible not to be impressed with the size of the convention, but what really struck me was the creativity and dedication of the exhibitors. From small booths with creative displays to the looming robot arms, the amount of work put into this expo by each vendor was a blast to explore. Finding value in all industry events has been easy for me so far, and this case was no different. If you haven’t made the previous expos or are debating next year, I believe there is value for everyone in making the effort to attend at least a few industry events. Your family wants it, your team wants it, your industry wants it – quality time goes a long way with all people. Spending time face-to-face with our customers, partners, and friends in the industry is a huge part of maintaining these relationships. Shaking a hand, sharing a laugh, talking with fabricators about their business problems…being present to do all these things is more personable and oftentimes more valuable than a phone call. I’ve found that it’s easy to get wrapped up in the day to day role I fill, but by being at TISE I realized how important it is to be more present in the industry. Being on the floor among industry peers of all different sizes and services puts it all into perspective. We’re here to learn, educate, and grow together. Connecting at an expo like TISE is one of the many ways where this is possible. In a similar thought, I realized that if you choose not to have a presence at TISE or industry events, you just might lose your place at the forefront of everyone’s minds. And that just makes me sad! If we were to never attend any industry events, we might also lose the opportunities to meet new people and foster our existing connections. One of the ways Eric, Chase, and I worked to keep our relationships alive at the expo was to meet up with existing customers as well as new customers. By having discussions with our customers, we hear their feedback and offer solutions ranging from scheduling a call with our awesome support and implementation team to suggesting a consultant that we think could take your software to the next level. A happy fabricator is a measure of success for us. Another way was by spending time with some of our amazing partners. Each time I meet or get to know a partner better, I learn a little bit more about why it’s so incredible to have software that can be built on to provide even more functionality. Or how Moraware consultants can help our customers set up their system as successfully as possible. Plus, they’re all a lot of fun! And last but not least, I had a blast going to the different booths. It was such a great feeling to say “hi” in person to people I’ve been emailing for a year or people I’ve met once or twice before. By visiting the different booths at TISE, I was able to further those relationships and make new ones to catch up with at the next event. As a marketer for Moraware, getting to know the people in our industry and maintaining those relationships is a measure of success for me. Personally, one of the aspects I find highly valuable in these events is the time I spend with my coworkers. And I don’t just mean because we’re a remote team. Even if we worked in the same place, I found a different value in attending TISE with my teammates. What I find value in is that we’re experiencing something together. No matter what role we are in or how many years we have been in the industry, we’re still learning about our industry and getting to know each other in a different setting than the everyday office/shop/skype. Each time I see Chase and Eric in person, I learn a little more about them and we work together better than before. Brainstorming in the lobby leads to more productivity than calls typically do. Meeting with customers allowed me to see their sales conversations firsthand. And perhaps most importantly, spending more time with them allows me to get to know their personalities better. In turn, these all help me be a more considerate and productive coworker. I’m not sure how to put a price on that, but I think comradery is a huge win for any workplace. Interested in learning more about upcoming industry events? Sign up for our newsletter! 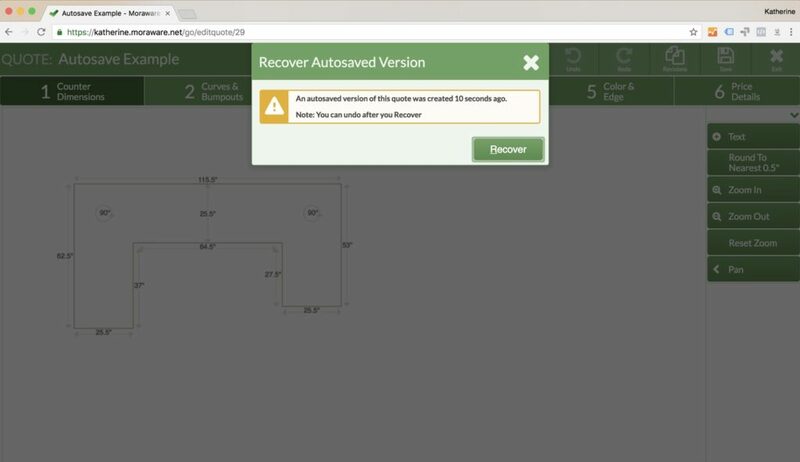 Upgrading from JobTracker to Systemize: What’s the Deal? Last year when we announced Systemize, we were only selling to new customers. As an existing Moraware customer, you’re probably wondering “Hey, what about me?” We haven’t forgotten about you, awesome customer! Before upgrading our existing customers, we wanted to be 100% certain that the transition would be seamless. You trust us to protect your essential business data, and we take that trust seriously! We’ve also been developing some great new features in Systemize that will appeal to our JobTracker faithful (that’s you!). Now that we’ve upgraded about a hundred JobTracker users to Systemize, we’re ready for everyone! Of course we think it’s just totally awesome. But don’t just take it from us. Most of the feedback we’ve heard from other customers has been really positive about the look, feel, and functionality of the new interface! Mobile-Friendly: Optimized for touch screens, Systemize has less text, bigger buttons, and pages that work on any device – from giant displays to tiny phones. Much of the feedback we’ve heard has been about the ease of using Systemize in the field. Time-Saving Navigation: We re-thought how you interact with the calendar, jobs, and every page to reduce the number of clicks it takes to do things. Everything that used to take you two clicks has been reduced to a single button. Better User Experience: The new look is “much easier on the eyes,” to quote one of our recently upgraded customers! We worked with user experience experts and graphic designers to make our fonts more readable and reduce the strain on your eyes. It’s the Future: Since announcing Systemize last year, we’ve already developed a few new features that are benefitting Systemize users, like now being able to update multiple activities at once. All of our future development effort is going into Systemize, and we plan on giving you lots of great future updates. JobTracker isn’t going anywhere, but Systemize will keep getting better. Read more about the reasons upgrading from Jobtracker to Systemize might benefit you! The first step is to sign up for a demo with our sales team. We’ll discuss if the upgrade is beneficial to your process, show you the differences between the two platforms, and cost. If you decide to move forward with the upgrade, we’ll notify all your users via email. You’ll pick the day and time you’d like the switch to Systemize to happen. Most upgraders prefer to schedule a time after business hours so they can start the next day with the new interface rather than during a busy day. We’ll also schedule a call with you after the upgrade to walk you through any changes and answer any questions! Is there a cost to upgrade? Systemize costs $300 per month for up to 5 users. Each additional user, including Shop and External users, is $20 per month. If you’d like to figure out how that changes from what you’ve been paying for JobTracker, we can walk through it together during our demo. Will I lose any data? Absolutely not. All of your job and operational information will still be there after the upgrade. If you are an eligible JobTracker customer and want to see if upgrading to Systemize is right for you, schedule a demo with our sales team by clicking the big button below! If you’re new to Moraware, you might not know that we make updates to the software almost every day. Even though we’re making things better, it’s not usually worth a blog post, but today we released a new feature we wanted to share with you! In CounterGo, there’s now an auto-save feature. That means that if you’re in the middle of editing a countertop quote and get distracted, you won’t lose your work… even if you don’t hit the Save button. Now, you can recover your changes the next time you open that quote. Happy New Year! If you’re reading this…. first, THANK YOU!!! I’m grateful and amazed by the support from our great team, customers, industry partners, friends, and family. I’d like to give you a short update on the past year. Our team grew by 50% in 2018. Annie, Chase, Julie, Katherine, and Kristina joined Moraware this year. Yay! I’m really proud of the work that everyone’s been doing in getting all of the new folks up to speed on our industry, company, and products. It’s a lot to wrap your head around. Even with all of the growth of our own company, we’ve been able to keep chugging along: building, selling, and supporting software for countertop fabricators the whole time. 2018 was a big year for us on the product side of things: we released Systemize in January. Now, a couple hundred countertop fabricators are using it. Hurrah! We also started upgrading JobTracker customers to Systemize over the last couple of months. The only sales pitch in this blog post: If you’re a JobTracker user and you’d like a cleaner, more modern, mobile-friendly experience… let us know that you’d like to schedule a conversation with our sales team! Just shoot an email to sales@moraware.com. The key to our success is our customers’ success, and we measure that a couple of different ways. You’re sending out lots of quotes from CounterGo. This year, it was over 650,000 quotes. That’s a ton of time our customers are saving every day, and I really believe that those quotes are leading to more countertop sales, too. More than a million and a half new jobs were created in our scheduling and job management software. When you think about how many mistakes were avoided and much time was saved by using our software, it’s pretty humbling and I know we’ve made our customers’ lives better. 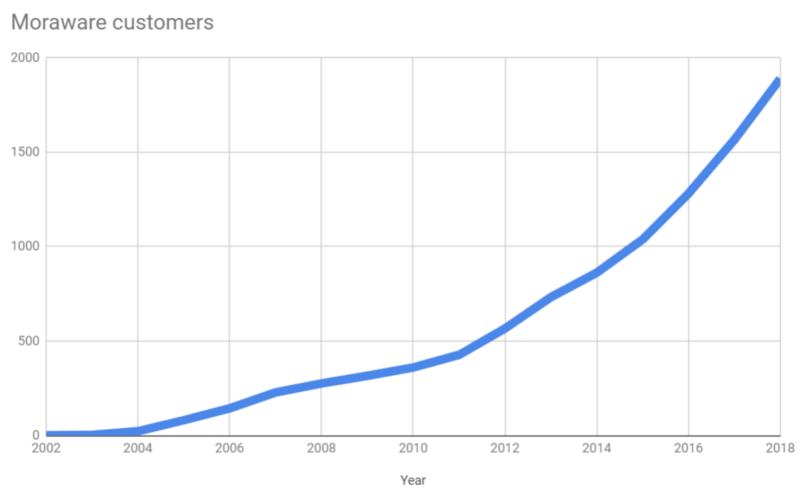 Part of the reason our company has grown is that the number of Moraware customers (and users!) keeps growing, too. We’re lucky to have such a great group of customers. I’m looking forward to seeing some of you in the coming year. 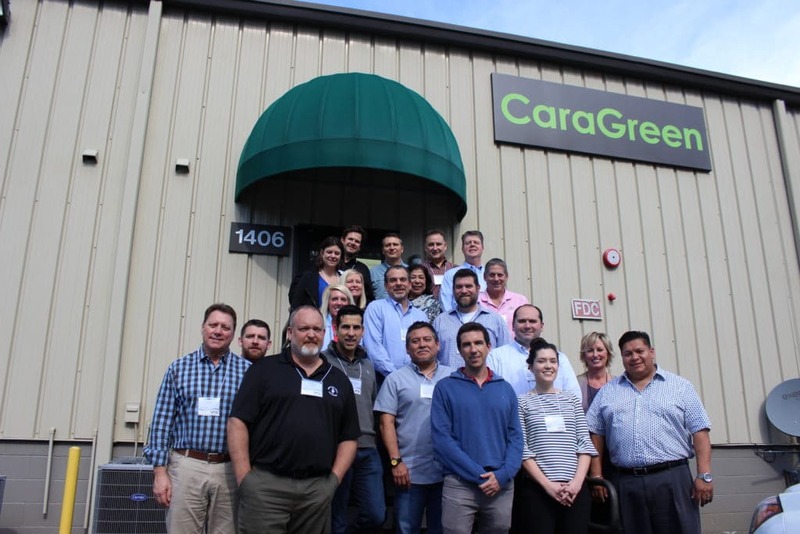 Based on the opportunities ahead of us, we’re going to continue growing so that we can make our existing customers happier, solve more problems for countertop fabricators, and continue to improve the quality of life for everyone working at Moraware. Thank you again to our customers, the Moraware team, our partners… I hope you have a fun, successful, and exciting 2019!